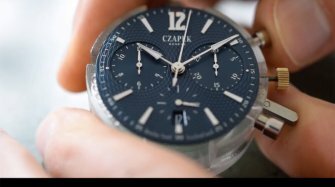 A new colour emerges in the Faubourg de Cracovie chronograph collection that now comes in salmon, silver and blue models. 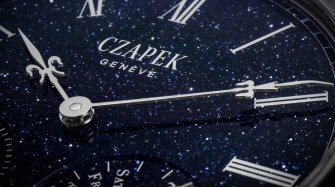 The four new Faubourg de Cracovie timepieces were unveiled for the opening of Czapek & Cie's first boutique in Geneva. They are ironically named after the finest and most famous salmon species from the Pacific Ocean: Chinook, Coho, Sockeye and King. Inspiration for these models came from a unique piece created by the company for a collector who had requested a bespoke Quai des Bergues with a salmon guilloché dial and blue hands and numerals. 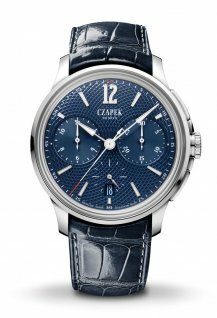 The salmon and blue Faubourg de Cracovie features a hand-engraved guilloché dial made by Metalem, Czapek's partner in Le Locle. 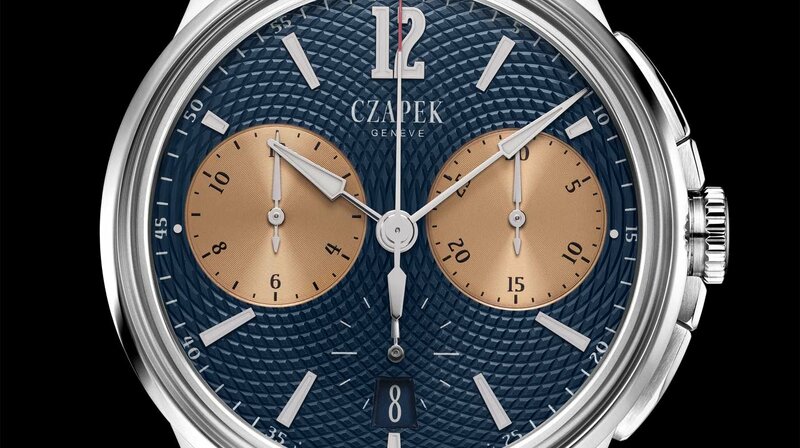 The special "Résonance" pattern is derived from the "Ricochet" pattern of the Quai des Bergues collection: concentric circles originating from the two subdials at 3 and 9 o'clock intersect and form bas-relief squares. 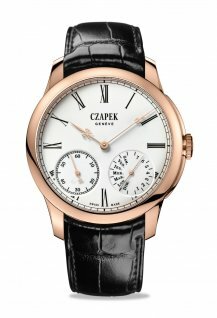 The dial and the subdials, a trademark of the Czapek brand, are made of "alloy 401," a combination of 55% gold completed by a mixture of platinum, palladium and silver. The salmon finish, with its golden hues, is done by electroplating. 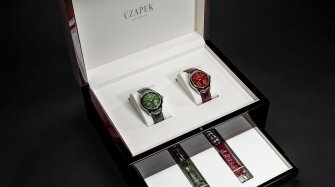 The colour is unique and gives a special feel to the engraving and the "shadows" at the edges of the engine-turned pattern. 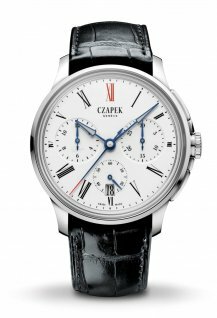 The 41.5-millimeter steel case recalls the distinctive "Revolution" case of the Quai des Bergues collection, where the crown protectors serve as pushers for the chronograph functions. 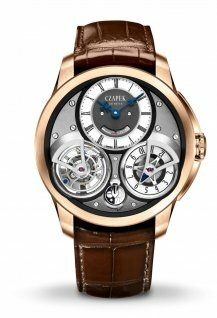 Like all the references in the collection, these four new models are animated by the proprietary Czapek SXH3 calibre. This integrated column-wheel chronograph movement was built by Vaucher Manufacture Fleurier. 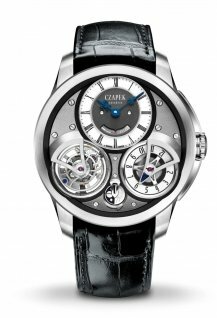 It delivers 65 hours of power reserve from a single barrel that drives the balance wheel at 36,000 vph. 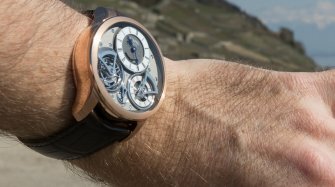 The movement employs some of the most advanced and high-performing mechanical elements, like the linear hammer and the vertical clutch, ensuring a perfect start for the chronograph hand. 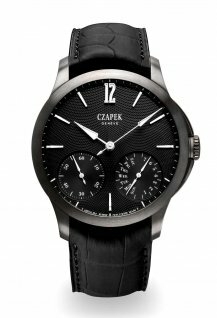 Finally, the diamond-blasted anthracite bridges give the final contemporary and sporty aesthetic twist to the movement visible through the transparent case back. 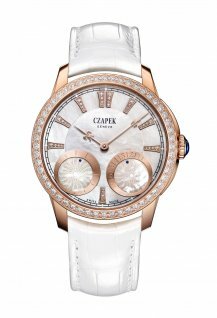 These models will be available as of March at a retail price of CHF 24,000 (recommended international price excluding taxes). 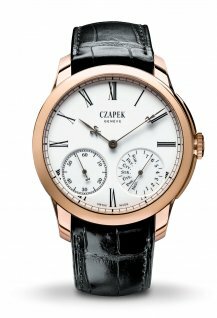 Czapek & Cie. harks back to the origins of one of the watch industry’s most prestigious names, which was born from the watchmaking skills of two Polish émigrés who sought refuge in Switzerland after Poland’s November uprising.